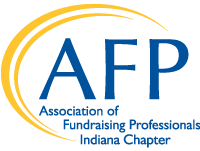 AFP-IC offers a study group to help members prepare for the CFRE certification exam. Our chapter boasts one of the highest percentages of CFREs among its membership. The study group typically meets face-to-face once a week for five weeks. Interested in participating in the next study group, please contact Paula Jenkins, CFRE at pj@indiana.edu. There is a fee to participate in this program.